Mad Martins - That's Me! Miracles, medals, rings and sweet snuff boxes! Martin! Friend of Kings and Queens! of Frederick of Prussia, Leo of Belgium. Hysterical painter to sweet Charlotte of Wales. That’s Me! That’s Me! Thats Me! built up many a fine collection. That’s Me! That’s Me! That’s Me! During the next five years (1813-1818), John Martin suffered the deaths of both his parents and several young children. Meanwhile, he continued to teach art and to paint and exhibit further pictures, as well as painting water colours and doing glass enamel painting. He also became proficient and successful in print-making. Also throughout this period, he became heavily influenced by his studies of the ancient Near East and India. 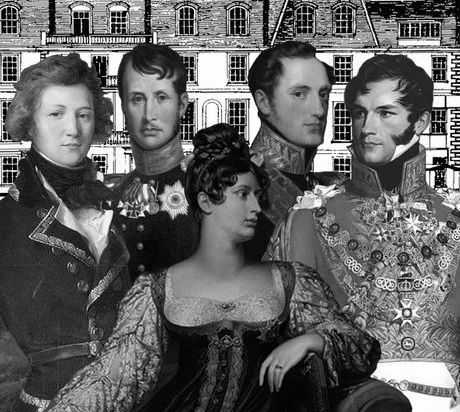 In 1817 he was appointed “Historical Painter to the Princess Charlotte and Prince Leopold” of Saxe-Coburg. (John was later knighted by his friend Leopold, in 1833, after Leopold had become King of Belgium).